A group of Muslims who have sorrow for his Imam Hossein on Ashura Day in Bijar, Kurdestan, Iran. Series Statement: Muharram is the first month of the Islamic calendar. It is one of the four sacred months of the year in which fighting is prohibited. Muharram is so called because it is unlawful to fight during this month; the word is derived from the word haram, meaning "forbidden." It is held to be the most sacred of all the months, excluding Ramadan. Some Muslims fast during these days. The tenth day of Muharram is called Yaumu-l 'Ashurah, which is known by Shia Muslims as "the day of grief." Muharram is a month of remembrance that is often considered synonymous with the event of Ashura. Ashura, which literally means the "Tenth" in Arabic, refers to the tenth day of Muharram. It is well-known because of historical significance and mourning for the martyrdom of Hossein ibn Ali, the grandson of Prophet Muhammad. Shias start the mourning from the first night of Muharram and continue for two months and eight days. However the last days are the most important since these were the days where Imam Hossein and his family and followers (consisting of 72 people, including women, children and aged people) were killed by the army of Yazid I on his orders, Surviving members of the family of Hussain and that of his followers were taken captive and marched to Damascus and imprisoned there. This ceremony that take place every years at the Day of Ashura in bijar, a province of Kurdestan. 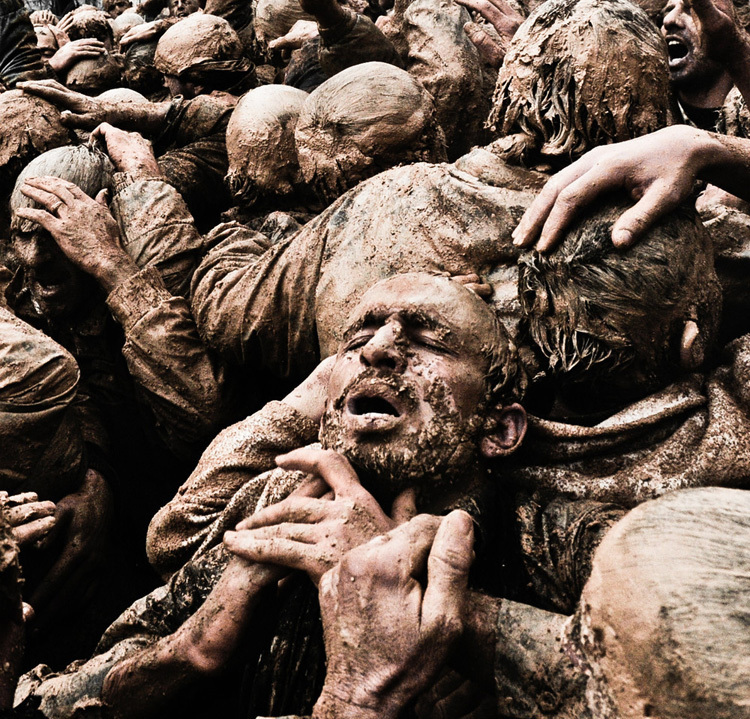 They make a great amount of mud to mourn for their Imam Hossein that was killed cruelly.